Have a question? Behold our most coveted turkey knowledge. Check here first for answers to your most pressing turkey questions. If you can't find what you're looking for, give us a call. What is the difference between fresh and frozen? Choosing a fresh or frozen turkey depends largely on preference, but also on how soon you plan on cooking your turkey. Make the right decision for you by considering these general tips. Fresh turkeys are ready to prepare. Fresh turkeys are best if held in the refrigerator for 24 hours before final preparation. Frozen turkeys can be purchased weeks in advance, but need several days to thaw and require adequate space in your freezer and refrigerator. See our How To Thaw page for more information. Also, check out our How to Choose guide to help you decide what’s best for you. How do I determine what size turkey to buy? Check out our calculator to determine the Butterball® Turkey size range to purchase for your holiday meal. What are some new ways I can prepare my turkey? 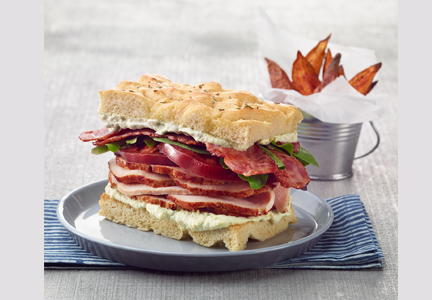 Check out our recipes section to search for a variety of recipes to include in your holiday meal. Download our Cookbook App for additional recipes sure to please your family and friends. What can I do to prevent a dry turkey? Check the date – make sure your frozen turkey was purchased within 2 years or make sure your fresh turkey is not beyond the sell-by-date as both of these factors could impact the quality of your turkey. Storing turkey – make sure to keep your frozen turkey in a deep freeze rather than a frost free refrigerator as freezer burn could result in a dry turkey. In addition, make sure the packaging does not have any tears or holes. Thaw properly – How you thaw your turkey can make a big impact. There are a couple of different ways to do so, check out our How To Thaw page to learn more. Cooking process – cooking at a high temperature and too long can result in a dry turkey. Butterball has a variety of ways to cook a turkey, visit our How To's section to learn about different cooking methods. Also, check out the Why Butterball® Turkeys are the Best Available page to learn about how our turkeys are tender and juicy. 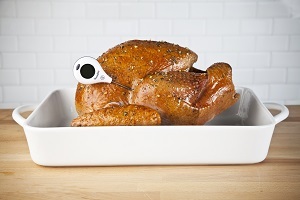 What type of thermometer is best for cooking a turkey? There are a variety of different meat thermometers and they range in price. The most important factor when choosing is accuracy. Test your thermometer before using in your turkey to ensure it gives you an accurate temperature read to reduce the risk of over or under cooking. When checking for doneness, always use a properly calibrated meat thermometer which should read at least 165o in the breast and 180o in the thigh. Learn more about how to check your turkey for doneness or read incredibly easy tips for placing the meat thermometer in the turkey correctly. Giblets are the heart, liver and gizzard of the turkey. These parts should be removed from the turkey cavity before cooking but can be used to make rich, flavorful gravy. 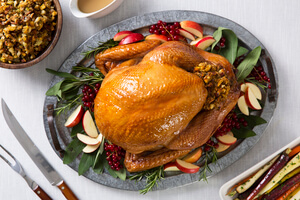 See our Holiday Turkey with Giblet Gravy recipe for more details or check out our Why Butterball® Turkeys are the Best Available page to learn about the cook proof bag our giblets come in. How long can I store a turkey in the freezer? You can store an unopened whole turkey in the freezer for up to 2 years. How do I store leftovers? Check out our Food Safety Essentials for details on how and how long to store turkey leftovers. You can also find detailed storage instructions on each of our product pages. What is the "sell by" date on my Butterball product? This number should be on the back of the Butterball tag. If the store has placed their sticker on the tag, you will need to peel it off to see these numbers. Still need help? Download our Shelf Life Table for specific details by product. Are Butterball turkeys gluten free? All of the Butterball products are gluten free except for Butterball Stuffed Turkey (bread stuffing) and Butterball Frozen Meatballs. For our products that are packaged with gravy packets, the gravy packets are gluten free as well. The gravy contains rice flour instead of wheat flour and the modified food starch is corn based. What does “All Natural Turkey” mean? Do Butterball products have MSG? Butterball, LLC does not add MSG to any of its products. According to USDA regulations, MSG must be listed in the ingredient statement if it is add to food products. Where can I find product allergen details? The USDA requires that any of the top 8 allergens be listed on the packaging of our products. Example: Butterball products will say “contains wheat” or “contains milk”. Butterball whole turkeys (fresh and frozen), bone-in breasts and boneless roasts do not contain any of the top 8 allergens. We cannot provide a list of ingredients in the flavorings in our products because they are proprietary. If a consumer is allergic to a specific food other than one of the top 8, please call our Consumer Affairs team at 1-800-288-8372, select option 4. Does Butterball treat its turkeys humanely? Establishing an independent Animal Care and Well-Being Advisory Council, made up of well-known animal care experts. Strengthening our employee training through identifying and implementing best industry practices. Implementing audits conducted by American Humane, a highly recognized, independent third party that audits our facilities and practices according to peer-reviewed, science-based criteria. Rigorous continuous improvement of our operational processes through industry-leading technology and practices. To learn more about Butterball’s corporate social responsibility initiatives, including our Animal Care and Well-Being program, click here. What does the American Humane Certified seal on Butterball® products mean? The American Humane Certified program, a voluntary program offered by American Humane, is the nation’s first independent, third-party humane certification program for farm animals. Through rigorous inspections and examinations, American Humane provides third-party, independent verification that certified producers’ care and handling of farm animals meet or exceed the peer-reviewed, science-based animal welfare standards of American Humane. Butterball is the first national turkey producer to attain American Humane Certification. 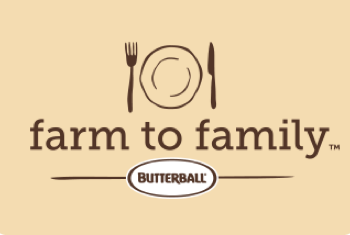 For more information on Butterball’s commitment to the community, please click here. For more information on the American Humane, visit http://www.americanhumane.org/. For more information on the American Humane Certified program, visit http://www.humaneheartland.org/.